Manchester United are preparing for their last match of the Champions League group stage for this season. They will meet Valencia in Spain, as they try to finish this campaign with a positive result. The Devils have finally ended their winless streak in Champions League and now they could be setting themselves for a very good week. This week is especially interesting, as there is not just Champions League football, but the big clash against Liverpool as well. Jose Mourinho and his players will be motivated against the Spanish team, but it is obvious Liverpool will be in sight, in a match that could make or break the season of at least one of the two clubs. Manchester United will definitely want to improve on their first match against Valencia. It was the second matchday when two sides met at Old Trafford and it was a dull goalless draw that had left everyone disappointed. The Devils did not show much and leaving this group without beating a poor Valencia side – they have just three La Liga wins this season – would not be a great look, even though the team was assured of a Round of 16 berth before the final match in the group. Getting into a good mood before Liverpool could truly be crucial. 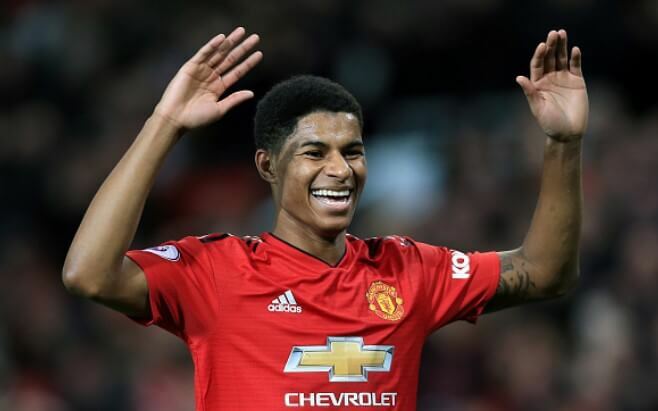 Anthony Martial and Marcus Rashford could be in for another good match, while many United fans will be keeping their eyes on Diogo Dalot once again. Marcelino’s Valencia are far from where they were this time last year and that should be a good enough reason to go for a win. The other good reason is more technical – a win could get Man United finish top of this group. However, that seems highly unlikely, as Juventus need to beat Young Boys to ensure the first place. If Juve draw and United win in Valencia, that would mean Mourinho and his team snatching the first place and a much easier draw. Still, finishing second seems like reality and Man United could get one of these teams in the next round – Borussia Dortmund, Barcelona, PSG, Porto, Ajax or Bayern, Real Madrid and possibly Lyon, if they somehow finish above Man City. That looks like a very tough draw, with only Porto being certain at the top of their group from all of these ‘easier’ rivals. The Spanish giants would be a tough draw, PSG look like they finally want to do great things and Dortmund and Bayern are still really tough sides to play against. It is always a great time to beat Liverpool, but is there a better week than this one? Liverpool are in ecstasy after topping the Premier League standings, as Man City lost to Chelsea on Saturday. Also, they are in a great moment, after beating Napoli in make-or-break Champions League clash, that has seen them qualify for the next round. Beating Liverpool on the back of those two big occasions for them would be an incredible reminder of the not so distant past. Let’s see what the boys have prepared for us in the following matches.